Please read these terms and conditions of use carefully before using this site. You may review the most current version of the Terms at any time at https://www.ihadcancer.com/terms-conditions. I Had Cancer, Inc. ("IHC/ IHadCancer") may revise and update these Terms and Conditions at any time. Your continued usage of the I Had Cancer website ("IHadCancer Site," or the "Site,") will mean you accept those changes. IF YOU DO NOT AGREE TO THESE TERMS, DO NOT USE, OR CEASE YOUR USE OF, THE SERVICES. The contents of the IHadCancer Site, such as text, graphics, images, information obtained from I Had Cancer's licensors, and other material contained on the I Had Cancer Site ("Content") are for informational purposes only. The Content is not intended to be a substitute for professional medical advice, diagnosis, or treatment. Always seek the advice of your physician or other qualified health provider with any questions you may have regarding a medical condition. 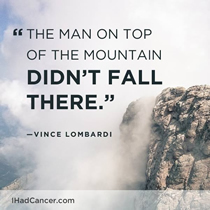 Never disregard professional medical advice or delay in seeking it because of something you have read on the IHadCancer Site! IHadCancer does not recommend or endorse any specific tests, physicians, products, procedures, opinions, or other information that may be mentioned on the Site. Reliance on any information provided by IHadCancer, IHadCancer employees, others appearing on the Site at the invitation of IHadCancer, IHadCancer users, or other visitors to the Site is solely at your own risk. I Had Cancer authorizes you to view or download a single copy of the material on the I Had Cancer Site solely for your personal, noncommercial use if you include the following copyright notice: "Copyright ©2011, I Had Cancer, LLC. All rights reserved" and other copyright and proprietary rights notices that are contained in the Content. Any special rules for the use of certain software and other items accessible on the I Had Cancer Site may be included elsewhere within the Site and are incorporated into these Terms and Conditions by reference. The Content is protected by copyright under both United States and foreign laws. Title to the Content remains with I Had Cancer or its licensors. Any use of the Content not expressly permitted by these Terms and Conditions is a breach of these Terms and Conditions and may violate copyright, trademark, and other laws. Content and features are subject to change or termination without notice in the editorial discretion of I Had Cancer. All rights not expressly granted herein are reserved to I Had Cancer and its licensors. Please contact us if you would like to request a copy of your personal data in electronic format, free of charge. IHadCancer is the primary data controller of the information collected. In the course of using the Site, Members may share information that could be used to reasonably identify them ("Personal Information"), including name, photograph, and email address. When a Member chooses to share Personal Information via the Public Area and photos, the information shall be treated as Shared Data. Password, as collected as part of registration or in a Member’s Account Information. When a Member enters Personal Information, including name and email address, as part of registering to use I Had Cancer, that Personal Information is treated as Restricted Data. Members should expect that every piece of information they submit (even if it is not currently displayed), except for Restricted Data, may be shared with the community, other Survivors, and Partners. Members are encouraged to share health information but should consider that the more information that is entered, the more likely it is that a Member could be located or identified. I Had Cancer uses both Shared Data and Restricted Data internally, as needed, for research, for maintenance and operation of the Site, and to create the best possible tools and functionality for the I Had Cancer community. I Had Cancer may share or disclose a Member's data where required by law or to comply with legal process. In the event I Had Cancer goes through a business transition, such as a merger, acquisition by another organization, or sale of all or a portion of its assets, the Shared Data and Restricted Data, including Personal Information, might be among the assets transferred. Members will be notified via this Site of any such change in ownership or control of Personal Information. Shared Data is viewable via My Profile and through aggregated reports that are made available to other I Had Cancer Members. We report publicly Shared Data in aggregate. Member's "public" Shared Data can be linked with aggregated reports. 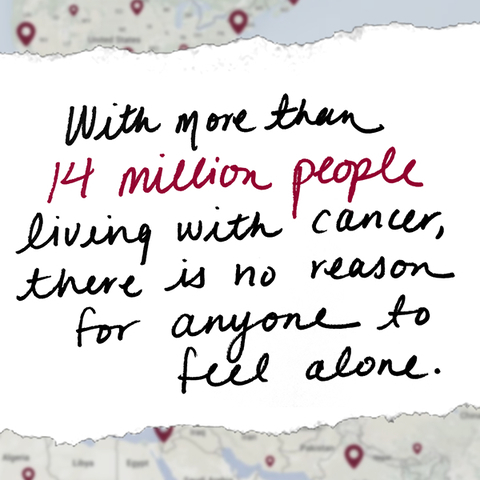 In addition to serving the individual needs of our Members, I Had Cancer and its Partners are interested in bettering the experience for everyone. For example, we may look at questions such as, "Do certain treatments work better for some types of people versus others" I Had Cancer provides Shared Data, in individual and aggregate format, to Partners and other third parties. When selling this information, I Had Cancer removes Members’ Restricted Data to reduce the likelihood of re-identification prior to sharing information with Partners. I Had Cancer may provide a voluntary opt-in service to allow Partners to directly communicate with Members through our system. I Had Cancer may also periodically ask Members to complete short surveys about their experiences (including questions about products and services). Survey responses are analyzed, combined with Members’ Shared Data and shared with Partners. Member participation in these surveys is not required, and refusal to do so will not impact a Member’s experience on the Site. The information I Had Cancer reports includes, but is not limited to, all of the information about the Member and/or free text or images in the Public Area, which may include Shared Data. 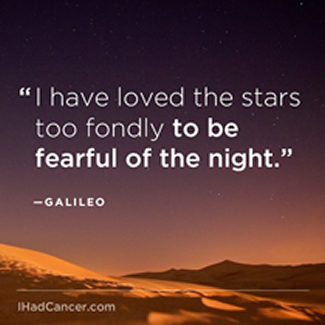 I Had Cancer, like most Internet communities, is a public forum, and Members acknowledge and accept that any information shared through free text or images might be connected to Members’ Shared Data (which may be shared with, sold to, or displayed for others). If a Member chooses the Public privacy setting, I Had Cancer and others may use public profiles in reports, conference presentations, media mentions, etc. If a Member makes a request, I Had Cancer may use Restricted Data, including sharing the Member’s Restricted Data with software/service vendors, for the purpose of fulfilling the request. 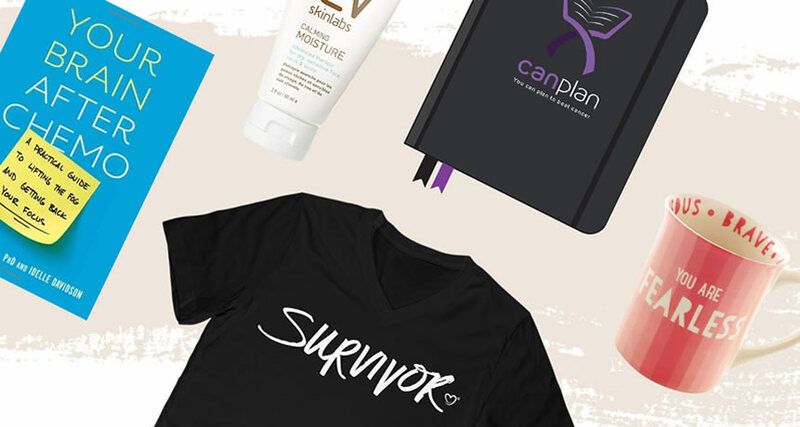 Examples include requesting to receive the company newsletter via email, requesting an email response from the I Had Cancer support team, and requesting a t-shirt be mailed to the Member’s residence. a. All material on the Site, including, without limitation, all informational text, design of and "look and feel," layout, photographs, graphics, audio, video, messages, interactive and instant messaging design and functions, files, documents, images or other materials (collectively, the "Materials"), whether publicly posted or privately transmitted, as well as all derivative works, are owned by I Had Cancer, LLC or other parties that have licensed their material to I Had Cancer, LLC and are protected by copyright, trademark, and other intellectual property laws. I Had Cancer, LLC disclaims any proprietary interest in copyrights, trademarks, service marks, logos, slogans, domain names and trade names other than its own. Trademarks, logos, images, audio, and service marks displayed on the Site are the property of either I Had Cancer, LLC or other third parties; You agree not to display or use such property without I Had Cancer, LLC prior written permission. b. The Materials on the Site may not be copied, reproduced, republished, uploaded, posted, transmitted, or distributed in any way, including by e-mail or other electronic means, without the prior consent of I Had Cancer, LLC. Any modification of the Materials, use of the Materials on any web site or networked computer environment, or use of the Materials for any purpose other than personal, non-commercial use, without the prior consent of I Had Cancer, LLC, is a violation of the copyright, trademark, and other proprietary rights in the Materials and is expressly prohibited. c. If You have accessed the Site, I Had Cancer, LLC grants to You a personal, non-exclusive, non-transferable license to use and display the audio and visual information, documents, products and software contained in or made available through the Service (the "Content") solely for Your own personal use. All rights not expressly granted herein by I Had Cancer, LLC to You are reserved by I Had Cancer, LLC and/or its licensors. d. I Had Cancer, LLC alone shall own all right, title, and interest, including all related intellectual property rights, to any suggestions, ideas, feedback, remarks, innovations, graphics, materials, data, concepts, recommendations, comments, posting, or other information or communications provided by You relating to the Site and/or the Service ("Submissions"), and You agree to and hereby assign such Submissions to I Had Cancer, LLC free of charge. I Had Cancer, LLC may use or not use such Submissions as it deems appropriate in its sole discretion. For any submissions that cannot be legally assigned to I Had Cancer, LLC, You hereby grant I Had Cancer, LLC an unrestricted, perpetual, royalty-free, irrevocable license to use, reproduce, display, perform, modify, transmit and distribute the Submissions for any and all commercial or non-commercial purposes, and You agree that I Had Cancer, LLC is free to use any ideas, concepts, know-how or techniques that You send I Had Cancer, LLC for any purpose whatsoever, with no compensation to You. You also hereby waive any "moral rights" associated with the Submissions. The use of the I Had Cancer Site and the Content is at your own risk. When using the I Had Cancer Site, information will be transmitted over a medium that may be beyond the control and jurisdiction of I Had Cancer and its suppliers. Accordingly, I Had Cancer assumes no liability for or relating to the delay, failure, interruption, or corruption of any data or other information transmitted in connection with use of the I Had Cancer Site. The accuracy, reliability, completeness, currentness, or timeliness of the Content, software, text, graphics, links, or communications provided on or through the use of the I Had Cancer Site or I Had Cancer. The satisfaction of any government regulations requiring disclosure of information on prescription drug products or the approval or compliance of any software tools with regard to the Content contained on the I Had Cancer Site. In no event shall I Had Cancer, its licensors, its suppliers, or any third parties mentioned on the I Had Cancer Site be liable for any damages (including, without limitation, incidental and consequential damages, personal injury/wrongful death, lost profits, or damages resulting from lost data or business interruption) resulting from the use of or inability to use the I Had Cancer Site or the Content, whether based on warranty, contract, tort, or any other legal theory, and whether or not I Had Cancer, its licensors, its suppliers, or any third parties mentioned on the I Had Cancer Site are advised of the possibility of such damages. I Had Cancer, its licensors, its suppliers, or any third parties mentioned on the I Had Cancer Site shall be liable only to the extent of actual damages incurred by you, not to exceed U.S. $1000. I Had Cancer, its licensors, its suppliers, or any third parties mentioned on the I Had Cancer Site are not liable for any personal injury, including death, caused by your use or misuse of the Site, Content, or Public Areas (as defined below). Any claims arising in connection with your use of the Site, any Content, or the Public Areas must be brought within one (1) year of the date of the event giving rise to such action occurred. Remedies under these Terms and Conditions are exclusive and are limited to those expressly provided for in these Terms and Conditions. A. YOU EXPRESSLY AGREE THAT USE OF THE SITE AND THE SERVICE IS AT YOUR SOLE RISK. THE SITE, THE SERVICE AND ANY CONTENT CONTAINED THEREIN OR DOWNLOADABLE THEREFROM ARE PROVIDED ON AN "AS IS" AND "AS AVAILABLE" BASIS. I HAD CANCER, LLC EXPRESSLY DISCLAIMS ALL WARRANTIES OF ANY KIND, EXPRESS OR IMPLIED, INCLUDING, WITHOUT LIMITATION, ANY WARRANTY OF MERCHANTABILITY, QUIET ENJOYMENT, FITNESS FOR A PARTICULAR PURPOSE OR NON-INFRINGEMENT. NO ADVICE OR INFORMATION, WHETHER ORAL OR WRITTEN, OBTAINED BY YOU FROM I HAD CANCER, LLC OR THROUGH THE SITE OR THE SERVICE SHALL CREATE ANY WARRANTY NOT EXPRESSLY MADE HEREIN. B. I HAD CANCER, LLC MAKES NO WARRANTY THAT THE SERVICE OR ANY CONTENT PROVIDED THROUGH THE SITE OR ANY CONTENT CONTAINED THEREIN OR DOWNLOADED THEREFROM WILL MEET YOUR REQUIREMENTS, BE ACCURATE, COMPLETE, CURRENT OR TIMELY, OR THAT THE SITE OR THE SERVICE WILL BE UNINTERRUPTED, TIMELY, SECURE, OR ERROR FREE. IN THE EVENT THAT WEB SITE CONTENT IS INACCURATE, INCOMPLETE, OR OUT OF DATE, I HAD CANCER, LLC DOES NOT INTENTIONALLY MAKE MATERIAL MISREPRESENTATIONS NOR DOES I HAD CANCER, LLC INTENTIONALLY PROVIDE INCORRECT INFORMATION. C. YOU UNDERSTAND AND AGREE THAT ANY MATERIAL AND/OR DATA DOWNLOADED OR OTHERWISE OBTAINED THROUGH THE USE OF THE SITE OR THE SERVICE OR ANY CONTENT CONTAINED THEREIN OR DOWNLOADED THEREFROM IS AT YOUR OWN DISCRETION AND RISK AND YOU ARE SOLELY RESPONSIBLE FOR ANY DAMAGE TO YOUR COMPUTER SYSTEM OR LOSS OF DATA THAT RESULTS FROM THE DOWNLOAD OF SUCH MATERIAL AND/OR DATA. D. I HAD CANCER, LLC SHALL NOT BE RESPONSIBLE FOR ANY LOSS OR DAMAGE CAUSED, OR ALLEGED TO HAVE BEEN CAUSED, DIRECTLY OR INDIRECTLY, BY THE INFORMATION OR IDEAS CONTAINED, SUGGESTED OR REFERENCED AT THE SITE, THROUGH THE SERVICE, OR ANY USE OF SAME BY YOU. E. I HAD CANCER, LLC AND ITS LICENSORS MAKE NO REPRESENTATION OR WARRANTIES THAT THE SITE, THE SERVICE, OR ANY CONTENT CONTAINED THEREIN OR DOWNLOADED THEREFROM IS APPROPRIATE OR AVAILABLE FOR USE IN ALL GEOGRAPHIC LOCATIONS. IF YOU USE THE SERVICE FROM OUTSIDE THE UNITED STATES OF AMERICA, YOU ARE SOLELY RESPONSIBLE FOR COMPLIANCE WITH ALL APPLICABLE LAWS, INCLUDING WITHOUT LIMITATION EXPORT AND IMPORT REGULATIONS OF OTHER COUNTRIES. You agree that you will not upload or transmit any communications or content of any type to the Public Areas (including blogs, message boards, user reviews, etc.) that infringe or violate any rights of any party. By submitting communications or content to the Public Areas, you agree that such submission is non-confidential for all purposes. If you make any such submission you agree that you will not send or transmit to I Had Cancer by email, (including through the email addresses listed on the "Contact Us" page) any communication or content that infringes or violates any rights of any party. If you submit any business information, idea, concept or invention to I Had Cancer by email, you agree such submission is non-confidential for all purposes. If you make any submission to a Public Area or if you submit any business information, idea, concept or invention to I Had Cancer by email, you automatically grant-or warrant that the owner of such content or intellectual property has expressly granted-I Had Cancer a royalty-free, perpetual, irrevocable, world-wide nonexclusive license to use, reproduce, create derivative works from, modify, publish, edit, translate, distribute, perform, and display the communication or content in any media or medium, or any form, format, or forum now known or hereafter developed. I Had Cancer may sublicense its rights through multiple tiers of sublicenses. If you wish to keep any business information, ideas, concepts or inventions private or proprietary, do not submit them to the Public Areas or to I Had Cancer by email. We try to answer every email in a timely manner, but are not always able to do so. To protect your privacy, you agree that you will not submit any media that contains Personally Identifiable Information (like name, phone number, email address or web site URL.) of you or of anyone else. Uploading media like images or video of other people without their permission is strictly prohibited. By uploading any media on the I Had Cancer site, you warrant that you have permission from all persons appearing in your media for you to make this contribution and grant rights described herein. Never post a picture or video of or with someone else unless you have their explicit permission. By uploading any media like a photo or video, (a) you grant to I Had Cancer a perpetual, non-exclusive, worldwide, royalty-free license to use, copy, print, display, reproduce, modify, publish, post, transmit and distribute the media and any material included in the media; and (b) you certify that any person pictured in the submitted media (or, if a minor, his/her parent/legal guardian) authorizes I Had Cancer to use, copy, print, display, reproduce, modify, publish, post, transmit and distribute the media and any material included in such media; and (c) you agree to indemnify I Had Cancer and its affiliates, directors, officers and employees and hold them harmless from any and all claims and expenses, including attorneys' fees, arising from the media and/or your failure to comply with these the terms described in this document. I Had Cancer reserves the right to review all media prior to submission to the site and to remove any media for any reason, at any time, without prior notice, at our sole discretion. If you use a Public Area, such as discussion boards, blogs, profiles and any other area available to the public you are solely responsible for your own communications, the consequences of posting those communications, and your reliance on any communications found in the Public Areas. I Had Cancer and its licensors are not responsible for the consequences of any communications in the Public Areas. In cases where you feel threatened or believe someone else is in danger, you should contact your local law enforcement agency immediately. If you think you may have a medical emergency, call your doctor or 911 immediately. Engaging in any other conduct that restricts or inhibits any other person from using or enjoying the Public Area or the Site, or which, in the judgment of I Had Cancer, exposes I Had Cancer or any of its customers or suppliers to any liability or detriment of any type. Record the dialogue on the I Had Cancer site. Terminate a user's access to any or all Public Areas and/or the I Had Cancer Site upon any breach of these Terms and Conditions. Edit or delete any communication(s) posted on the I Had Cancer Site, regardless of whether such communication(s) violate these standards. I Had Cancer or its licensors have no liability or responsibility to users of the I Had Cancer Site or any other person or entity for performance or nonperformance of the aforementioned activities. The materials on the Site are provided with "Restricted Rights." Use, duplication, or disclosure by the U.S. Government is subject to restrictions as set forth in applicable laws and regulations. Use of the materials by the U.S. Government constitutes acknowledgment of I Had Cancer, LLC's proprietary rights in them. No other governments are authorized to use the materials appearing on the Site without prior written permission from I Had Cancer, LLC. The Site and the Service may provide Service and/or use software and technology that may be subject to United States export controls administered by the U.S. Department of Commerce, the United States Department of Treasury Office of Foreign Assets Control, and other U.S. agencies and the export control regulations of the European Union. You acknowledge and agree that the Site shall not be used, and none of the underlying information, software or technology may be transferred or otherwise exported or re-exported to Afghanistan, Burma, Cuba, Iraq, Iran, Libya, Sudan or any other country to which the United States and/or the European Union maintains an embargo (collectively, the "Embargoed Countries"), or to or by a national or resident thereof, or any person or entity on the U.S. Department of Treasury's List of Specially Designated Nationals or the U.S. Department of Commerce's Table of Denial Orders (collectively, the "Designated Nationals"). The lists of Embargoed Countries and Designated Nationals are subject to change without notice. By using the Site, You represent and warrant that You are not located in, under the control of, or a national or resident of an Embargoed Country or a Designated National. These Sites may use encryption technology that is subject to licensing requirements under the U.S. Export Administration Regulations, 15 C.F.R. Parts 730-774 and Council Regulation (EC) No. 1334/2000. I Had Cancer may provide links to third-party web Site. I Had Cancer also may select certain Sites as priority responses to search terms you enter and I Had Cancer may agree to allow advertisers to respond to certain search terms with advertisements or sponsored content. I Had Cancer does not recommend and does not endorse the content on any third-party website. I Had Cancer is not responsible for the content of linked third-party Site, Sites framed within the I Had Cancer Site, third-party Sites provided as search results, or third-party advertisements, and does not make any representations regarding their content or accuracy. Your use of third-party websites is at your own risk and subject to the terms and conditions of use for such Site. I Had Cancer does not endorse any product, service, or treatment advertised on the I Had Cancer Site. 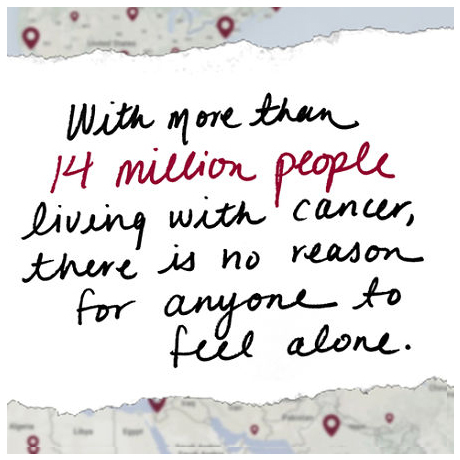 I Had Cancer is a participant in the Amazon Services LLC Associates Program, an affiliate advertising program designed to provide a means for sites to earn advertising fees by advertising and linking to Amazon.com. By using the IHadCancer site, you agree to defend, indemnify, and hold IHadCancer, its officers, directors, employees, agents, licensors, and suppliers, harmless from and against any claims, actions or demands, liabilities and settlements including without limitation, reasonable legal and accounting fees, resulting from, or alleged to result from, your or any other party’s violation of these Terms and Conditions. I Had Cancer is based in New York, New York, in the United States of America with principal offices in New York, New York. I Had Cancer makes no claims that I Had Cancer or any Site within the I Had Cancer Network and the Content are appropriate or may be downloaded outside of the United States. Access to the Content may not be legal by certain persons or in certain countries. If you access the I Had Cancer Network from outside the United States, you do so at your own risk and are responsible for compliance with the laws of your jurisdiction. The following provisions survive the expiration or termination of this Agreement for any reason whatsoever: Liability, User Submissions, User Submissions – Media, Jurisdiction, and Complete Agreement. You expressly agree that exclusive jurisdiction for any dispute with I Had Cancer, or in any way relating to your use of the I Had Cancer Site, resides in the courts of the State of New York and you further agree and expressly consent to the exercise of personal jurisdiction in the courts of the State of New York in connection with any such dispute including any claim involving I Had Cancer or its affiliates, subsidiaries, employees, contractors, officers, directors, telecommunication providers, and content providers. These Terms and Conditions are governed by the internal substantive laws of the State of New York, without respect to its conflict of laws principles. If any provision of these Terms and Conditions is found to be invalid by any court having competent jurisdiction, the invalidity of such provision shall not affect the validity of the remaining provisions of these Terms and Conditions, which shall remain in full force and effect. No waiver of any of these Terms and Conditions shall be deemed a further or continuing waiver of such term or condition or any other term or condition. I Had Cancer cannot guarantee the identity of any other Members with whom a Member may interact in the course of using the Site or who may have access to a Member’s Shared Data. Additionally, we cannot guarantee the authenticity of any data that Members may provide about themselves. Finally, Members should know that I Had Cancer takes commercially reasonable technical precautions to help keep Member data secure. There are no known risks to using this website, but there is a possibility that users may feel uncomfortable sharing information online. It is possible that a Member could be identified using information shared on I Had Cancer (and/or in conjunction with other data sources). A Member could be discriminated against or experience repercussions as a result of the information shared. For example, it is possible that employers, insurance companies, or others may discriminate based on health information. In using the Site, Members are free to skip any non-required questions or data fields that make them feel uncomfortable. Members are also free to stop using this service at any time. If a Member chooses to deactivate his/her account, I Had Cancer will not display or sell the data in that account as of the date of deactivation. However, the Member’s data will remain in the system for auditing purposes, and research conducted prior to the deactivation of a Member’s account will still include the Member’s data. There are no current fees for the use of the Services. 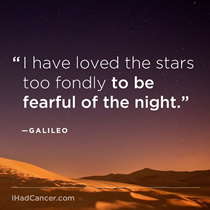 IHadCancer reserves the right to change the Fees for the Services tied to your account upon thirty (30) days advance notice of the applicability of such change to the Fees. In an effort to protect the rights of copyright owners, I Had Cancer maintains a policy for the termination, in appropriate circumstances, of subscribers and account holders of the Site who are repeat infringers. Thank you for your cooperation. 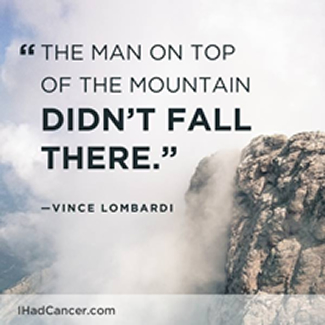 We hope you find the IHadCancer.com Site helpful and convenient to use!